It was early 1988. We had just about settled in our little abode at Brahmagiri and our ‘dispensary’ had been formally inaugurated. We were all living in a small two-room asbestos roofed building which served both as our residence and clinic. It was around this time that Mr V P Baligar, the Deputy Commissioner of Mysore asked me if he could post a young and dynamic IAS probationer to work with us. I was surprised that anyone from the IAS cadre would even think of staying with us in these jungles and live amidst the tribals. The surprise was even more when I heard that she was a woman officer who was very interested in understanding rural issues by living and experiencing them. This was how Ms Kalpana Gopalan came to join us in our mission. She was put up at the N Begur forest guest house and had to walk 4 km each way to reach our place at Brahmagiri. Her commitment, social concern and passion for service were indeed very infectious. I still remember the days we spent in endless discussions on what rural development needs to look like. It was funny how two committed and passionate individuals with urban backgrounds could discuss the issues of rural and tribal development. But then, apart from our inexperience in these matters, we did share a deep desire to make a difference in this world. That was more than 25 years ago and I was surprised to suddenly get an SMS from her a few days back, asking whether she could come to see me at Mysore. Though I had met her for a few fleeting moments at IIM-B a few years ago, I could not reason why she would suddenly remember us and our work. The last 25 years had seen her do a Masters in Public Policy from the prestigious Maxwell School of Public Policy. 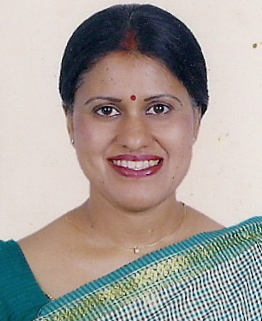 She had also completed her PhD in Public Policy from IIM-B and is now the Principal Secretary to Government of Karnataka and the Managing Director of Karnataka Handicrafts Development Corporation. She dropped in to V-LEAD at around lunch time on the 9th. After a quick lunch with our team, we started discussing on what had happened in these last 25 years in our lives. It was a nostalgic moment for both of us to recollect those long walks, the travails in the forests, the interaction with the tribal yajamanas, the arguments about the state of Governance and more mundane matters like the poorly tasting cooking of mine. We also remembered Swami Achalananda, my spiritual guru and mentor. He was living with me at that time in Brahmagiri and all of us had spent many interesting evenings discussing literature, philosophy and the Bhagawad Gita. It was indeed very heartening to see Dr Kalpana who seemed to remain the same passionate person, committed to making a difference in this world. The best part was that the last 25 years had not made her cynical or pessimistic. On the other hand, I saw that she had matured tremendously and was now very practical in her approach to matters of the state and Governance. After a long time, we (Sham, Sudarshan and myself) had such a stimulating and enriching discussion and I could not resist the temptation of asking her if she could join GRAAM as a fellow. To our good fortune, she not only readily agreed but also volunteered to guide and mentor other researchers and shape the public policy work of GRAAM.